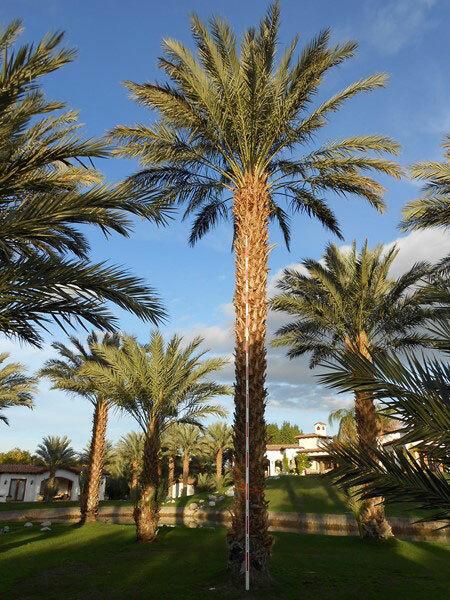 Jubaea chilensis (Chilean wine palm or Chile cocopalm) is the sole extant species in the genus Jubaea in the palm family Arecaceae. 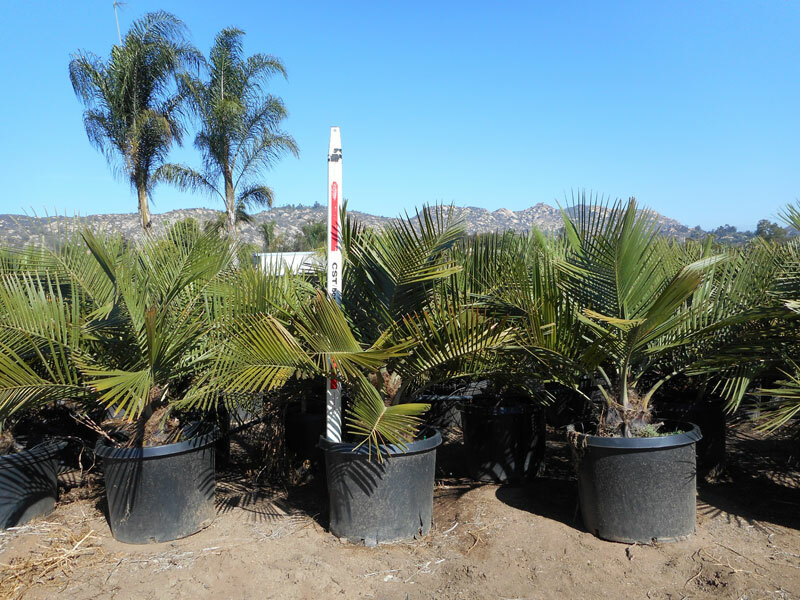 It is native to southwestern South America, where it is endemic to a small area of central Chile, between 32°S and 35°S in southern Coquimbo, Valparaíso, Santiago, O’Higgins and northern Maule regions. 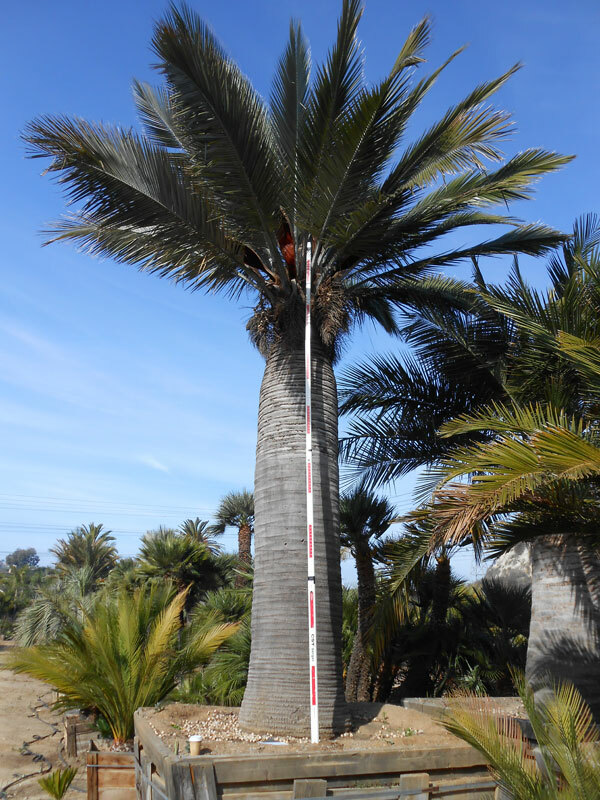 It was long assumed that the extinct palm tree of Easter Island belonged to this genus too, but it is distinct and now placed in its own genus, Paschalococos. 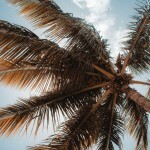 It is a palm reaching heights of 25 metres (82 ft) with a trunk up to 1.3 metres (4.3 ft) in diameter at the base, often thicker higher up, and with smooth bark. 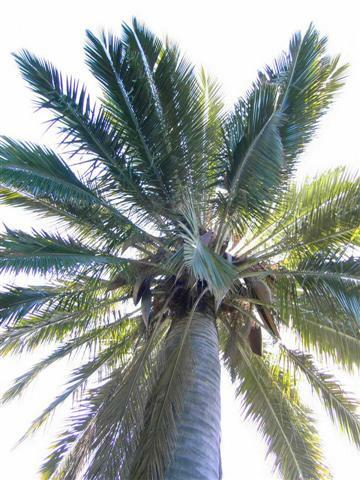 The 3–5-metre (9.8–16.4 ft) leaves are pinnate. 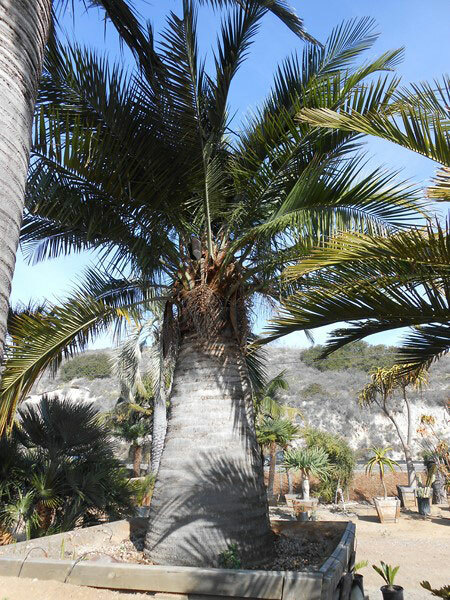 The largest individual specimen of indoor plant in the world is the Jubaea chilensis at Kew Gardens, England. 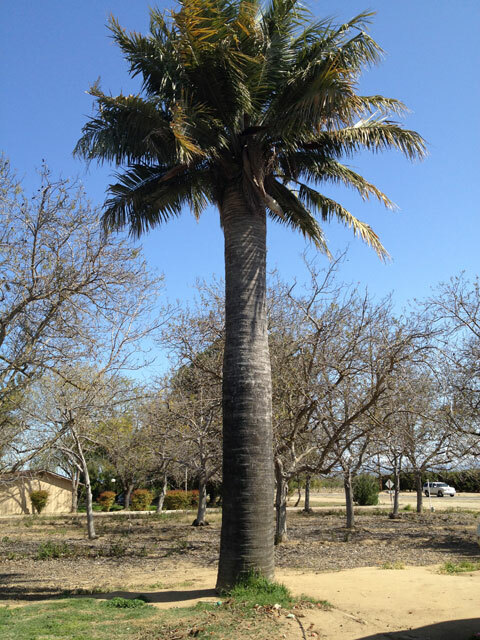 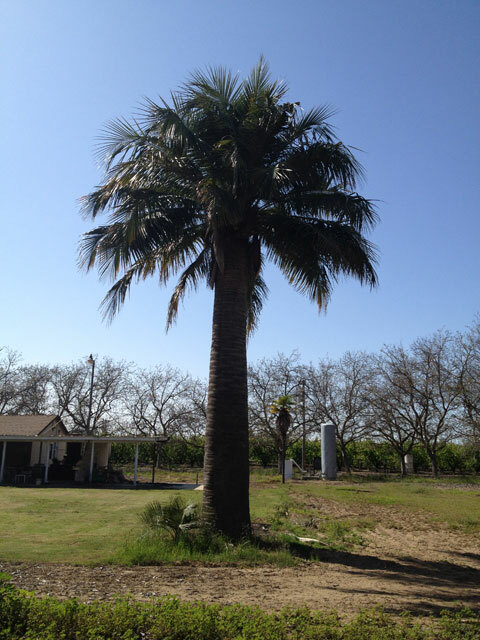 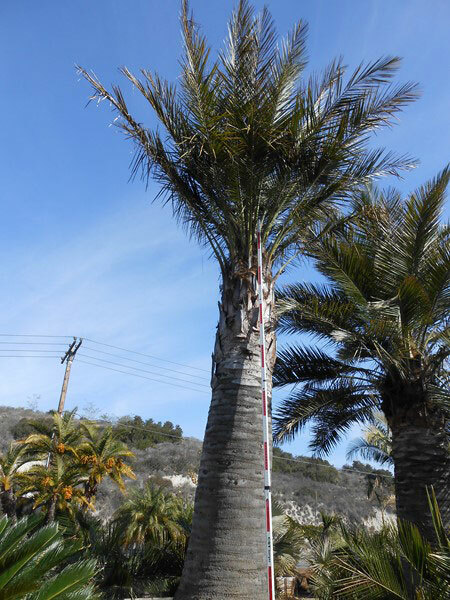 Please contact West Coast Trees for information and availability on Jubaea chilensis.